During our October 2016 meeting Councilmember Buscaino gave an update to our stakeholders. He spoke about the new sidewalk repair program and how residents can speed up repairs by paying for half of the repair. More information about sidewalk repair is here. If you need to remove a city tree, it must be replaced with two trees from a specified list of approved trees. He also addressed the homeless issue explaining that the homeless can sleep on sidewalks from 9pm to 6am and then must clear out. Vermont Villas has wrap around resources to go along with housing. He encouraged voting for measure HHH to build housing. 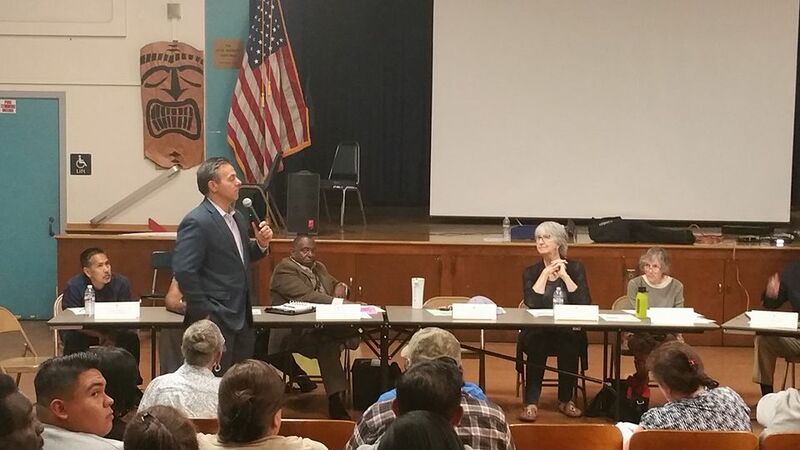 On the subject of traffic and speeding, Buscaino acknowledged a request for increased LAPD presence on 135th street. For 135th and Vermont, he mentioned that they are working with the City of Gardena which has indicated that they will install a left turn lane. Los Angeles is committed to VisionZero which makes safety the highest priority of our streets. Gardena Blvd is our unofficial Great Street with some new lighting. His Public Works update includes: trimmed over 2,500 trees, added 8 new trash cans on Gardena Blvd, repaired the bus pad at Imperial and Avalon, issued 80 illegal dumping notices, and made over 41 illegal vending arrests. We have been working with a non profit to clean up illegal dumping areas. A skate park is in the works with the design phase about complete. Construction is planned first or second quarter of 2017. He supports Neighborhood Councils being more involved at City Hall meetings and has advocated for NCs to have more time to speak at City Hall. Their approach recently changed so that when an NC has submitted a Community Impact Statement, then they may send a representative to speak up to five minutes at City Hall when that item is agendized. We appreciate Councilmember Buscaino addressing our community. View the video. 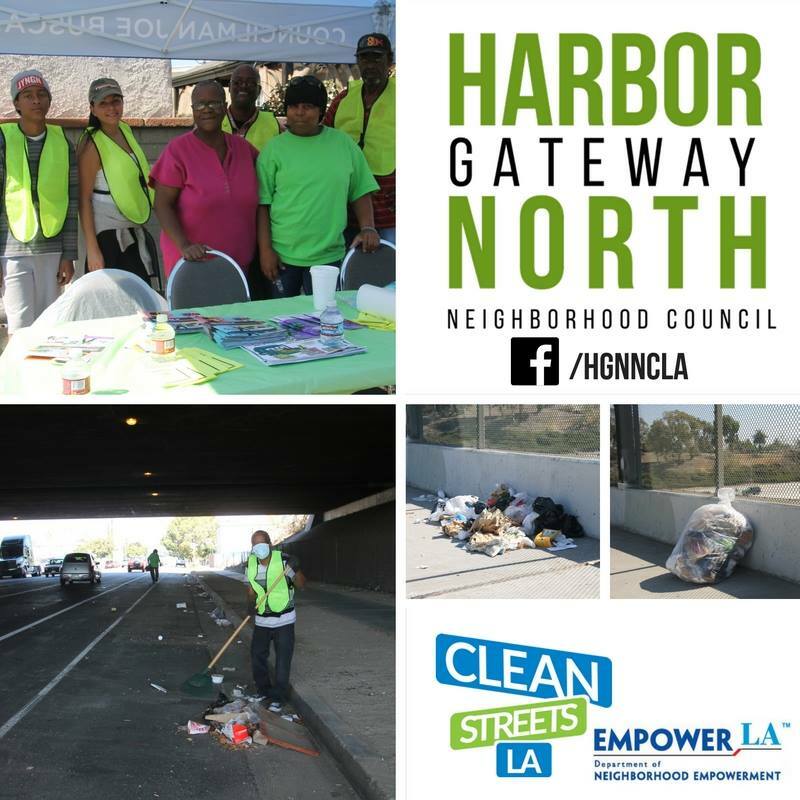 Members of the Harbor Gateway North Neighborhood Neighborhood Council came together in partnership with the community to take on the #CleanStreetsLA challenge and clean up the neighborhood in October 2016.